Diana Rendina, MLIS, is a media specialist/teacher librarian at Tampa Preparatory School, a 6-12 independent school in Tampa, FL. She was previously the media specialist for from 2010-2017 at Stewart Middle Magnet School in Tampa, FL. She first got started working with the Hillsborough County Public Library System in 2006, where she fell in love with librarianship. She began working as a media specialist with Hillsborough County Public Schools in 2010 and transitioned to independent schools in 2017. ​Diana is passionate about school libraries being places for students to discover, learn, grow, create, connect and collaborate. A pioneer & leader in the MakerEd Movement, Diana started a makerspace in her school library in January 2014 with a few donated bins of supplies. She then wrote grants and crowdfunded to raise over $10,000 to acquire additional supplies & renovate the space. 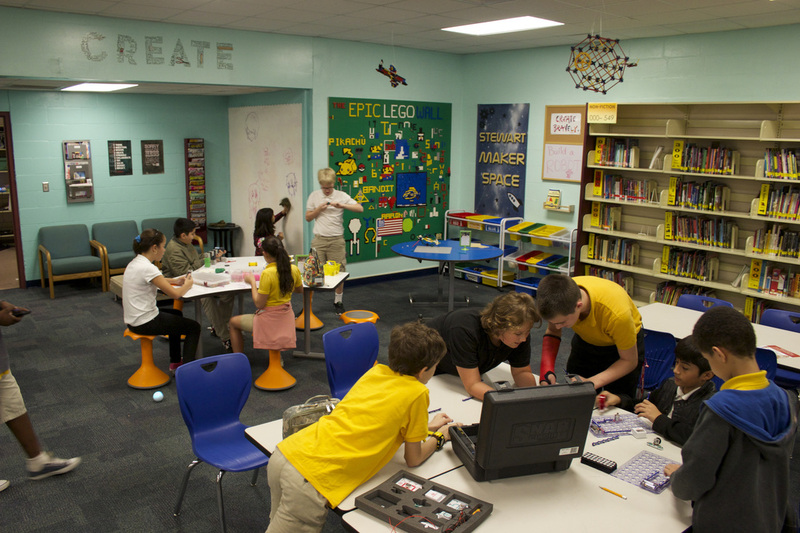 The library at Stewart became the STEM hub of the school, where students build on the Epic LEGO Wall, doodle on the whiteboard wall & tables, control robots with iPads and design working circuits. She co-founded her school’s after school STEAM club program, where nearly 100 students participate in five different clubs (including the Stewart Makers Club) for an hour & a half every week to learn about such topics as video game design, art and robotics. Diana is now at Tampa Preparatory School and is in the process of transforming the library space there. ​Diana actively participates in the International Society for Technology in Education, the American Association of School Librarians & the Florida Association of Media in Education, where she served as a member of the Sunshine State Young Readers Award committee from 2012-2015. She is the recipient of the 2016 ISTE Outstanding Young Educator Award, the 2015 School Library Journal Build Something Bold Award, the 2015 ISTE Librarians Network Secondary Award, the 2015 AASL Frances Henne Award. 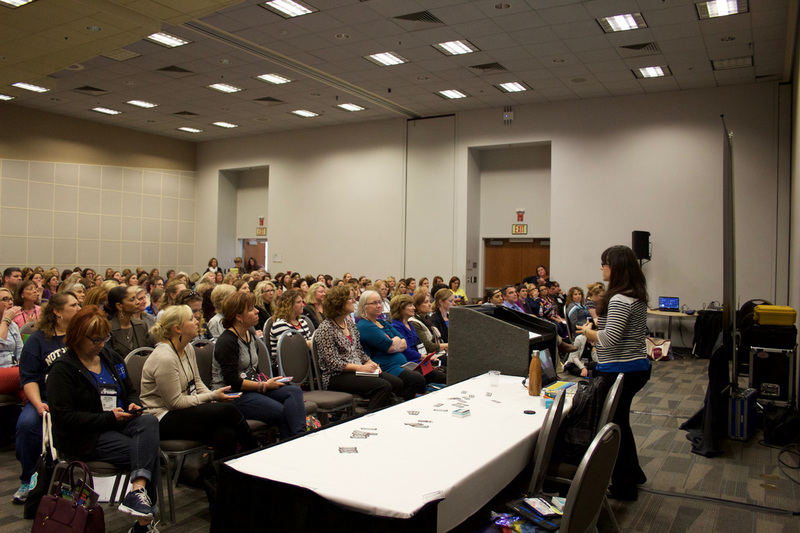 Diana has presented on the Maker Movement at state, national & international conferences, including the Future of Education Technology Conference, FETC Executive Summit, AASL & ISTE. She frequently speaks to educators & students about how to start a makerspace both through video conferences and in person. Diana has documented her makerspace since day one and shares her insights on the Maker Movement on her blog, Renovated Learning, which has served as a vital resource for those interested in MakerEd. She was a monthly contributor to AASL Knowledge Quest ​from 2015-2018. Diana co-authored the book Challenge-Based Learning in the Library Makerspace with Colleen and Aaron Graves. She is also the author of Reimagining Library Spaces: Transform Your Space on Any Budget.